Ever considered becoming a landlord? There are plenty of reasons you might. For some, it’s the temptation to scoop up a cheap property before the last of the deals vanish. Or maybe you’re like the 39% of homebuyers who told real estate firm Redfin that they’re interested in renting out their old place. Then there’s the lure of steadily escalating rents. The cost of renting the typical single-family home or apartment rose 4.5% in the past year, and spiked by more than 10% in the hottest areas, according to Trulia. Becoming a landlord can be a profitable move, but learning the ropes requires some effort; it’s easy to take a misstep and end up in the red. “It’s not a passive investment, like putting your money in a mutual fund,” says Robert Cain, founder of landlord resource site Rental Property Reporter. Below, six slip-ups frequently made by newbie landlords, and strategies that will help you avoid making the same mistakes. You’ll most likely account for your insurance, taxes, and if you have one, mortgage. But you might miss expenses such as water, garbage, gardening, and regular repair and upkeep tasks. Even riskier, you may fail to put aside a large enough pot for unexpected expenses and big-ticket items. “Mom-and-pop investors tend to skimp on reserve and emergency funds,” says John Yoegel, author of Perfect Phrases for Landlords and Property Managers. For a realistic estimate, plan for annual costs (not including your mortgage) to run at least 35% to ­ 45% of your yearly rental income, says Leonard Baron, who runs the real estate investor website ­ProfessorBaron.com. When calculating future income, it’s a good rule of thumb to include only 10 or 11 months of payments per year. After all, whenever a tenant moves out, you’ll still be stuck with expenses. 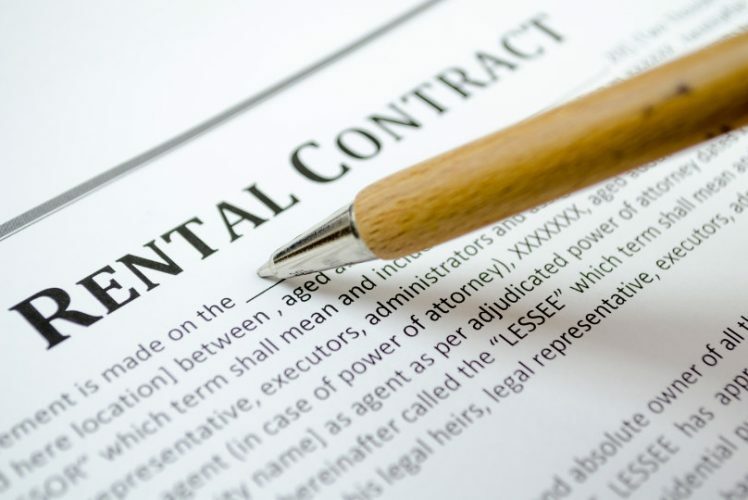 Tenant and landlord laws vary from state to state and even city to city. For example, in some areas, you can require a month-to-month tenant to move out within 15 days, while in others you must give him 60 days’ notice. Yet when real estate site Zillow quizzed landlords on basic rental laws, the average respondent missed at least half the questions. One easy way to avoid getting into legal hot water: Never buy generic lease or other tenant forms, which don’t account for local laws, from a general real estate site or a big-box store, says Cain. To get the skinny on what’s permitted in your town, talk to your local or state landlord or apartment owners association. These groups usually cost at least $50 to join. You know that federal law prohibits you from denying a rental to someone based on race, religion, or gender. Keep in mind that it also means that you can’t advertise a place as perfect for female roommates or specify no kids. You may, however, include a cap on the total number of occupants or ban pets. When you’re looking for a good renter, it’s not enough to trust your instincts, or even to go on a referral from a friend. “Landlords get in trouble when they are in a hurry to find tenants and when they feel sorry for someone,” says Cain. Never rent your property without checking the prospective tenant’s credit, confirming the source and amount of income, and checking in with the current and previous landlords, he says. Look for income to run at least 2½ times annual rent. Sites such as E-Renter.com and MySmartMove.com provide credit and background details for around $25. Landlord policies cover the structure of the home, your appliances, and liability in case of injuries or property damage. Not on this list? The tenant’s stuff. You may think that’s not your problem, but Michael Corbett of Trulia warns that renting to one of the 65% of tenants who lack a policy can cause problems if something goes wrong. “Tenants lash out when they realize they aren’t being compensated,” he says. In places where it’s legal, such as California, he recommends requiring that renters purchase a policy (go to your local landlord association to check the law in your state). This may shrink your pool of potential tenants, but is likely to increase the odds that you end up with someone responsible. If that’s not an option, be sure to explain to your tenant that you are not covering his things, and suggest he buy his own insurance. While you must respect your tenant’s privacy and cannot legally enter the residence without advance notice, you should find a way to take a regular look at the property. One solution: Add a clause to the lease specifying that you or your property manager will inspect the home at least every six months. It’s also a good idea to drive by the place once a week or so to look for exterior trouble spots. Finally, swing by anytime work is being done; you can verify that the job goes as you see fit and take a quick glance around for other potential issues. The tax treatment of rental properties is nothing like that of your home, and keeping it all straight is nearly impossible for novice landlords. The rules of depreciation are a prime example. The IRS requires that you take a deduction for wear and tear on the property each year. However, “the rules say depreciation is ‘allowed’ or ‘allowable,’ so people assume it’s optional,” says Cindy Hockenberry of the National Association of Tax Professionals. If you don’t claim the deduction for depreciation, you’ll miss a yearly tax break. Then, when you sell, the IRS requires you to retroactively depreciate the home, and that’s likely to leave you with a larger-than- expected tax bill. Not tricky enough? Starting this year the government “complicated” the regulations about what types of repairs you can deduct annually, says Hockenberry. The bottom line? Get a professional’s help—at least for the first year or two until you fully understand the rules. And don’t forget to keep receipts for everything: You can deduct all the costs involved in managing your property, including the mileage for all those drop-bys.